You are completing or have completed your Reiki certification and are excited to start your Reiki practice. Where do you begin? Although joining a Reiki association isn’t a requirement to start your practice as a professional Reiki practitioner, there are some benefits that an association can provide you with. Because an association is an investment you’ll want to do your homework! Is it important for you to be able to connect with other practitioners in your area and around the world? Check if the association has an international membership base. Do you want to have discussions with your fellow members? Some associations have closed discussion areas dedicated to members to share and connect on topics that are important to them and their Reiki business. Are you wanting to demonstrate to your clients that you adhere to a code of conduct that demonstrates a high standard of professionalism? Ensure the association you choose can provide you with a certificate of membership in either pdf form that you can print or one that is mailed to you. Are you wanting to be able to access resources to help you build and manage a successful Reiki practice? 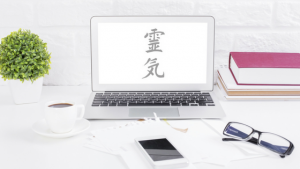 Most associations have resources available for the general public on their website, so you’ll want to see if there are additional resources available to members only, specific to crafting your Reiki business. Do you want some ideas around insurance companies that you can consider for your practice and liability insurance? Fortunately most associations will provide you with a list of companies you can explore for your insurance needs. Are you looking for additional education that will help you as a Reiki Practitioner and your life? Some associations will provide you with access to courses that you can take at a discount price to help continue your education. Do you want help promoting your business to potential clients online? Some associations will give you the option to post your practice and even courses on their website. This is one additional way you can gain exposure for your Reiki business. Are you hoping to find ways to build your credibility as a Reiki expert? Find an association that gives members the option to submit articles that can be posted on their website for potential clients. In some cases you can include your contact information so clients can contact you directly as well as establish you as an authority in your field. These are some important considerations you will want to keep in mind when choosing an association. You will then want to weigh the cost of membership to see what is right for you. Most memberships charge a yearly fee while a few have a lifetime membership fee. You need to do your research and then choose the organization that resonates with you and your Reiki practice. Have you been able to secure insurance for Australian Reiki Practitioners? Hello Sharon – yes we do have a company that you can explore. If you would like more information, please feel free to contact us. Good guidelines through your answers to your 8 questions.